This past February marked the one hundred year anniversary of the Immigration Act of 1917. When it was passed, the 1917 Act constituted the most sweeping immigration law in U.S. history. In addition to a number of restrictions, the 1917 Act excluded from the United States all peoples living within a constructed geographic area referred to as the “Barred Zone.” Situated south of the 20th parallel latitude north, west of the 160th meridian of longitude east from Greenwich, and north of the 10th parallel of latitude south, the “Barred Zone” included almost all of Asia except Japan and the Philippines. Because Chinese and Japanese laborers were already excluded from the United States, and Filipinos were U.S. “nationals” as a consequence of American colonization of the Philippines, the “Barred Zone” Act was intended to prohibit the entry of migrants from India. In addition to the “Barred Zone” provision, the 1917 Immigration Act increased the statute of limitations for deportation from three to five years for any “alien” deemed to have subversive or dangerous political beliefs or associations, namely those that could be construed as aligned with or advocating the principles of anarchism. While it may seem as if these two critical provisions of the Act—one that effectively excluded Indians and the other that cracked down on those deemed subversive and therefore a threat to national security—had little to do with one another, they were in fact deeply intertwined. The Barred Zone covered those geographical areas from which immigration was seen as racially, economically, and politically threatening to U.S. security. While Indians were the most recent incarnation of the ongoing Asian “problem” that exclusionists insisted plagued the United States, their exclusion must also be understood as a consequence of their political activism. U.S. immigration officials, labor leaders, and Congressional representatives had been trying to prohibit Indians from entering the country for years. Public agitation against the entry of Indian migrants grew to a fevered pitch in the late summer of 1907, when nearly 200 Indian workers were forcibly driven out of Bellingham, Washington, at the hands of an angry mob. In their exclusionary campaigns to exclude Indians, white workers across the Pacific Coast linked their struggles to those of their white working-class counterparts in Canada, South Africa, and Australia. In other words, they saw themselves as part of a broader effort to protect and enforce what were then commonly referred to as “white men’s countries” by demanding the passage of restrictive immigration laws. At the same time, U.S. immigration authorities and exclusionists pointed to the emergence of a number of Indian social and political organizations, periodicals, and anticolonial leaders based on the Pacific Coast to warn of the seditious nature of Indian migration and to demand more politically repressive laws and greater border enforcement. In the aftermath of the Bellingham riots, Indians began explicitly linking racial violence and discrimination in North America to colonial subjugation in India. A critical component of their anticolonial politics was the claim that their experiences as labor migrants in Canada and the United States were indicative of the convergence of colonial and racial oppression. It was these kinds of anticolonial and anti-racist articulations that caught the attention of U.S. officials. During the spring of 1914, the U.S. House of Representatives Committee on Immigration and Naturalization held hearings on two bills aimed at imposing severe restrictions on the entry of Indian laborers. 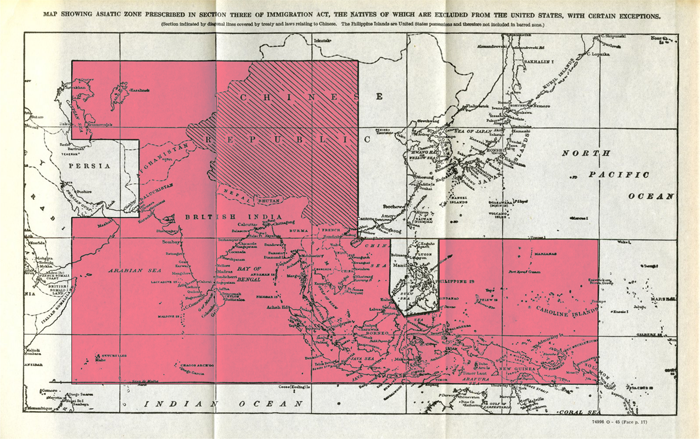 During the hearings, which were initially framed around questions of the economic competition and labor “threats,” various immigration officials, labor leaders, and congressional representatives demanded that the United States pass restrictive immigration laws to confront what they referred to as the “emergency” of the “Asiatic invasion.” However, as the hearings went on, calls for Indian exclusion became indistinguishable from the Committee’s anxieties over Indian anticolonialism. Representative John Raker of California, a vocal advocate for Indian exclusion, insisted that Indians were making the country a “hotbed of revolution” by using it as a base to organize revolutionary political movements both domestically and abroad, prompting a number of representatives to insist that Indians were dangerous agitators who had to be excluded in order to protect the country from radicalism. By this time, Congressional representatives were well aware of the Indian anticolonial movement that had been forged from the Pacific Coast. This was a heterogeneous and dynamic movement comprised of figures ranging from intellectuals like Taraknath Das and Lajpat Rai to migrant workers who formed the rank-and-file of the Ghadar Party. All of these activists focused on the twin goals of contesting British rule in India and challenging racial discrimination and racial violence in the United States. They viewed their struggles against racism and exclusion in the United States as linked to the struggles of racialized and colonized peoples across the world fighting for racial equality and political independence. 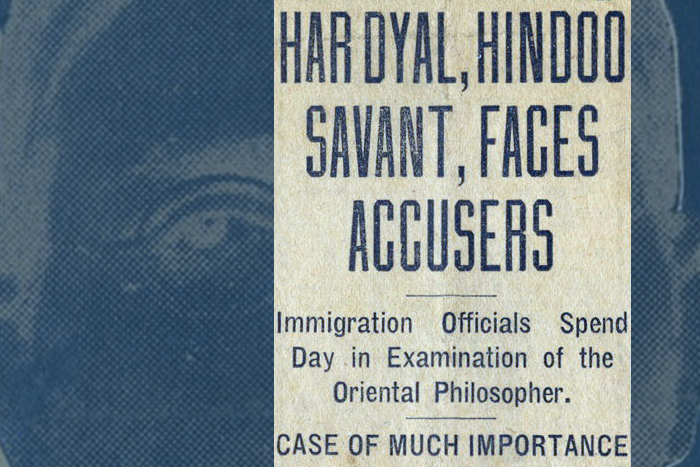 As such, antiracist struggle was an integral component of Indian anticolonial activism and, in the aftermath of the Bellingham riot, Indian migrants, students, and intellectuals began giving speeches and publishing periodicals from the United States that understood racism around globe and colonialism in India in relation to one another. British authorities later declared that the Ghadar movement in particular constituted the greatest threat to their rule in India during the First World War. As such, British authorities demanded that U.S. immigration officials crack down on Indian political activism. 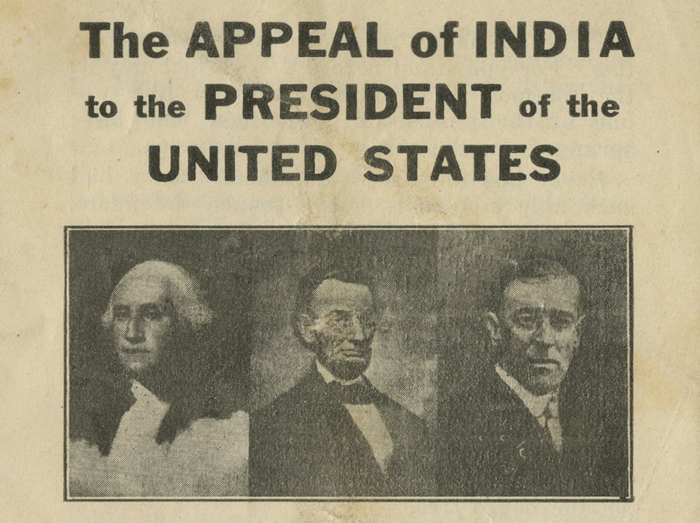 U.S. immigration, state, and justice department officials were receptive to British concerns and increasingly began to view Indian exclusion from the United States as working hand-in-hand with the repression of all revolutionary movements. In other words, U.S. officials used the revolutionary politics of Indians as a pretext to exclude them from the country. 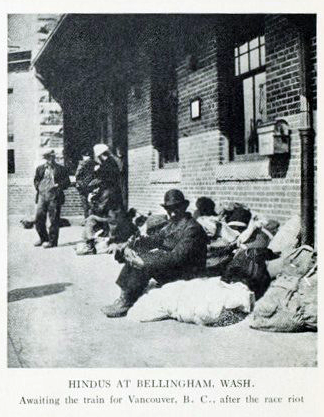 Though anti-Asian racism was deeply embedded in American politics and culture at this time, calls for Indian exclusion were based not only on charges that Indians were incapable of assimilation and an economic threat to white workers but also that they were dangerous, subversive, and inherently “un-American.” At the same time, economic and political migrants from India believed that the United States, a nation built upon the foundation of revolutionary struggle against the same empire that Indians sought to free themselves from, would provide a safe haven from which to organize their own freedom struggle. Indian political activists often likened themselves to American revolutionaries and asked Americans to recall “that the founders of this great republic, who accomplished exactly what we hope today for India,” were also “stigmatized by the British as ‘plotters and seditionists.’” While Indian activists did call for an end to British colonialism and racial hierarchies, visions of emancipation that seemed dangerously radical to some, U.S. officials and exclusionists misrepresented a movement to contest imperialism and racism as a conspiracy against the U.S. government and a crime against society. While clearly enabled by xenophobic fears of economic competition, antiradical hysteria over Indian political activism also led to widespread support of the 1917 Immigration Act. The rationale behind the Immigration Act of 1917 and the nativism, exclusionism, and surveillance that it justified and reinforced are strikingly relevant today. Ultimately, the “Barred Zone” Act did not explicitly exclude Indians by identity, but on the basis of geography. In this regard, it is akin to President Donald Trump’s recent Executive Order 13769, "Protecting the Nation from Foreign Terrorist Entry into the United States," or the so-called Muslim ban. In addition to initially excluding migrants from seven predominantly Muslim countries, the order calls for the "extreme vetting" of all refugee applicants and enhanced "standards" for scrutinizing all persons seeking admission to the country. Much of the rhetoric behind this Executive Order is reminiscent of the 1917 Immigration Act, particularly in its appeals to national security. Recent events, from Executive Order 13769 to the shootings of South Asians from Kent, Washington to Olathe, Kansas, have demonstrated that the anti-immigrant sentiment and nativist demands for exclusion that led to the passage of the 1917 Immigration Act have not been relegated to the past but, indeed, continue to resurface in our own time. It may seem that the country has made great progress since the passage of the Immigration Act of 1917 and in some ways it has, as demonstrated by the legal challenges that the Executive Order has faced in numerous courts on the basis of its discriminatory intent. Nonetheless, the recent Executive Order is a reminder that our immigration policies are often the sites through which appeals to fear and hysteria in the name of national security can be exploited and, if left unchallenged, used to justify racial discrimination, violence, and exclusion. 1. U.S. Congress, House of Representatives, Committee on Immigration and Naturalization, Hearings on the Restriction of Hindu Laborers, 63 Cong., 2 sess., April 23, 1914, p. 164-170. 2. Ram Chandra, India Against Britain, folder 32, box 1, South Asians in North America Collection, Bancroft Library, University of California, Berkeley. To help us look back at the significance of the Immigration Act of 1917 and its relevance in 2017, SAADA is putting together a special issue of Tides and will be publishing pieces about the Act throughout its yearlong centenary. As our call says, “The Immigration Act of 1917 and the surveillance, exclusionism, and nativism that were part of it are strikingly relevant to the present day.” Please consider submitting; your voice is needed more than ever. Seema Sohi is an Associate Professor in the Department of Ethnic Studies at the University of Colorado Boulder. Her work examines the radical anticolonial politics of South Asian intellectuals and migrant workers based in North America during the early twentieth century as well as the inter-imperial efforts of the U.S. and British states to repress them.